Coney Island (which is actually a peninsula) has been New York’s quickie beach vacation destination for more than a century. While Superstorm Sandy did affect Coney Island, it has bounced back since. The world-famous Cyclone roller coaster is back in business. 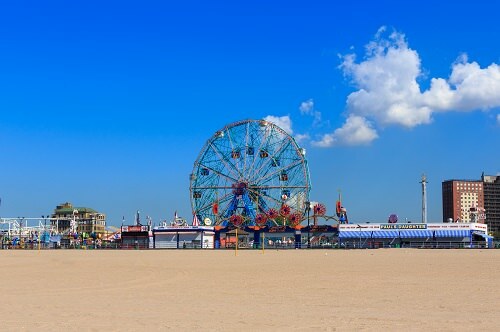 Coney Island isn’t hard to reach either, it’s accessible from Manhattan by subway.